McDonald’s is in the hot seat for labor violations against fast-food strikers. The National Labor Relations Board claimed that McDonald’s has practiced discriminatory discipline as well as reducing hours, implementing discharges, threatening employees , falsely promising benefits, among other misdeeds. This major issue at hand is known as “joint employers” in terms of labor law. In the past, two companies have been indicted for sharing their hiring and firing processes. Recently, the National Labor Relations Board has broadened the definition of joint employers; it now includes employment standards a franchisor might set for its franchisees. This change could lead to federal wage-and-hour violations for employers. The National Labor Relation Board and McDonald’s may have to appear in court to settle this suit. 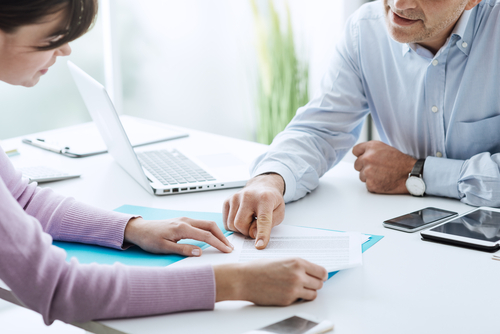 Franchisors can protect themselves by separating from franchisees’ employment systems and not providing detailed employee manuals or scripts for job interviews, according to lawyer Rochelle Spandorf. They can also evaluate the language used in contracts pertaining to labor terms and conditions, eliminating those that are unnecessary or those that will not be utilized. It is crucial to ensure that decisions involving employee hiring and firing, wages and hours, supervision, work rules, schedules, among other aspects are easily clarified to avoid discrepancies. On a larger scale, companies should think carefully about the value outsourcing provides. In some circumstances, they may want to reduce outsourcing to limit the possibility of joint employment. Joint employment is an issue that could lead to various legal issues for franchisees and franchisors alike. Companies need to take the opportunity to educate themselves about changing labor laws so that they can protect themselves from potential allegations of joint employment.